humorous lift to a serious topic. children in our hospital have. tells him he has to stay for 10 days! 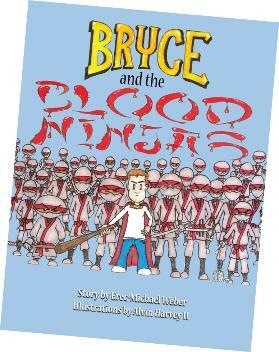 Ninjas to help Bryce fight until every last robot is dead. (sorry, no Blood Ninjas -- they're busy) are now available. Paperback, 8.5 X 11, 36 pages.